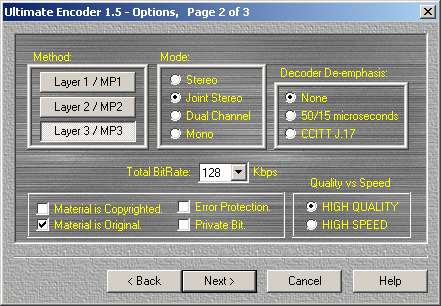 OK, so here we have an MP1/2/3 encoder and decoder. Shareware (registration cost 49 dollars). Looks and sounds like a dist10 compile. Horrible wizard-based interface. Can also rip CDs. Comes from Romania. 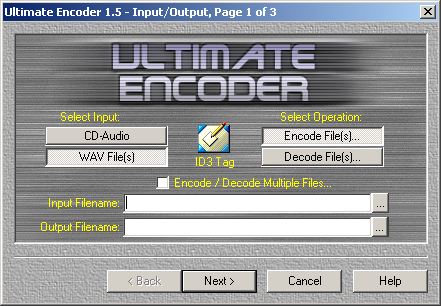 I do not know the stories behind Ultimate Encoder and Sound Limit, but something fishy is definitely going on. 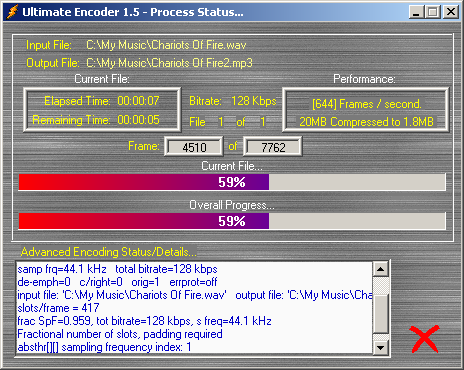 Please compare the screenshots available above and the ones at SoundLimit's page. Even some of the (ugly, unnecessary) textures are the same! If you know what was going on, please get in touch! 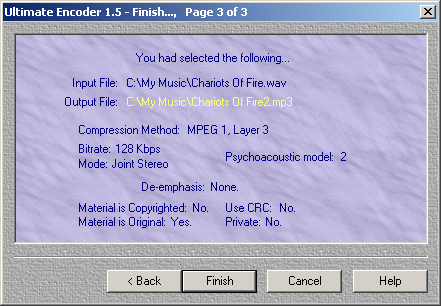 The demo version hosted here is only valid for 30 days after installation. A mirror of the web page is available here.